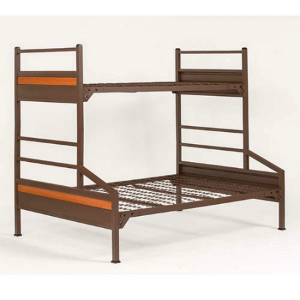 The Platinum Twin/Full Bunk, like our other Platinum Bunk Beds, has a 400 lb. per weight capacity per sleep surface, adjustable spring base allowing the bunk to be used as an 80” XL bed and the ability to be used as a single bed. Call us to discuss your furniture and storage needs and allow us to customize solutions to all your bedding and furniture needs and quantity discounts.